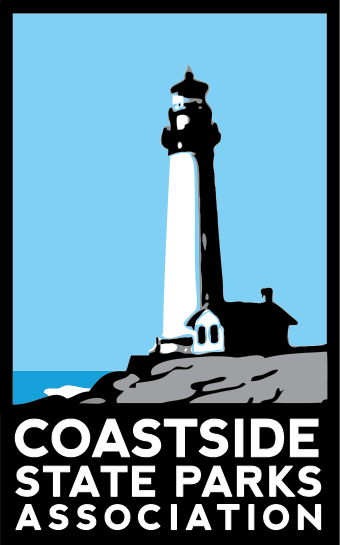 Coastside State Parks is governed by a Board of Directors. Since our association has no paid staff for executive or administrative tasks, our volunteer directors perform these duties themselves as officers of the board and through work on our committees. Committees include Finance, Governance, Park Stores, and Program & Development. This last committee also performs marketing and communication tasks. In addition, CSPA volunteers provide valuable assistance by serving on certain committees, particularly the Park Stores Committee. 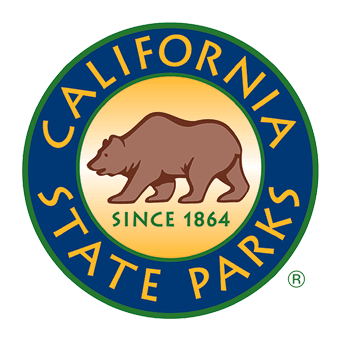 To maintain close coordination, California State Parks appoints a member of its staff to serve as liaison between itself and each of its cooperating associations. CSPA’s Cooperating Association Liaison (CAL) is Ranger Terry Kiser, Superintendent of the San Mateo Coast Sector, Santa Cruz District. The liaison for the Park Stores Committee is Docent Coordinator, Christen Bechert. CSPA’s only paid staff members are the manager and assistant who oversee CSPA’s three park stores. Both positions are part-time. Sales staff in the stores are State Park volunteers. Janet Oulton retired in 2004 after sixteen years running her own IT consulting business and a cumulative thirty years in a variety of industries. Clients included electronic manufacturers, clothing companies, biomedical companies and medical claims processing. While the industries were different, the focus was always on the business operations. Upon retiring, she trained as a docent at Año Nuevo, and has continued volunteering there as both a docent and a mentor. In 2012 she also became a docent at Pigeon Point Light Station. Wondering if she could contribute some of her accumulated business experience to the non-profit that supports the Coastside state parks, she joined the Board of CSPA in 2012 where she helps out with the bookstore management, event ticketing and the bookkeeping. She became the president of the board in 2016. Pam Koch was elected to CSPA’s Board of Directors in November 2014. She has been a volunteer docent at Año Nuevo since 2008. She also serves on the Board of Sempervirens Fund. Pam is a former hospital administrator in Philadelphia and Boston and a health policy analyst working on Capitol Hill and in the federal DHHS Secretary's Office. She holds an MBA with a Concentration in Health Care Management from the Graduate School of Management at Boston University. She has a history of volunteerism and advocacy for under-resourced youth in the Bay Area and currently serves as a Court-appointed Special Advocate in San Mateo County. She is also the current President of the Redwood Meadows Ranch HOA in Bonny Doon. Since moving to the Bay Area in 1990, she has fallen in love with the dramatic Pacific Coast line and the majestic redwood forest that rises above it. She is an avid hiker throughout the region. Pam is dedicated to supporting the stunning and richly diverse 15 Coastside State Parks in San Mateo County. Fred Bockmann taught elementary school in central Illinois for 10 years. In the mid 1970s, as a hobby he built a computer and began using it in his classroom. Then, from 1980 - 1982, he was Director of an Illinois State Board of Education research program exploring ways computers could be used in education. He joined Apple Computer, Inc. in 1982 and had roles in engineering, sales, and training. Apple relocated Fred and his wife to California in 1997. When Fred retired in 2007, he joined the docent program at Año Nuevo State Park. After 25 years working for Apple Inc., he was ready to leave the world of cubicles behind, and learn about elephant seals, native Americans, geology, botany, and more of his adopted home state of California. In his retirement, he is an active volunteer at the Media Center, Palo Alto CA’s public access television studio, and spends time as an archivist at the Computer History Museum in Mountain View, CA. Fred enjoys travel, reading, photography, videography, and hiking, and has been known to, at the drop of a hat, take a road trip to explore new areas of the country. Fred joined CSPA’s board in January 2015 and became Vice President in 2017. Rick Mohr moved to the Bay Area in 1967 to begin a 40-year career as an aerospace engineer specializing in optimization and navigation. Over his career, he developed and tested software for vehicles that variously dove, swam, skimmed, hovered, flew, and orbited. Rick received a B.S. degree from Iowa State and M.S. and Engineer degrees from Stanford. He worked at Systems Control in Palo Alto, Analytical Mechanics Associates in Mountain View, and Lockheed Martin in Sunnyvale, CA, from which he retired in 2007. Rick enjoys amateur photography, travel, and hiking in the Bay Area, in the Sierra, and on his travels. He became a board member of CSPA in 2013 and served as president for two years. Jim Allen is a docent naturalist for Año Nuevo State Park where he educates and entertains global visitors. As an avid photographer, his landscape and floral photographs are frequently published in Filoli House and Historical Garden literature., and his photographs of kittens, on the Silicon Valley Humane Society website, have facilitated the adoption of over 1000 kitties. He is also a volunteer for the Los Altos Community Foundation. Jim received his BS in Chemistry and an MS in Environmental Science and worked in the environmental field for many years. He is the retired Chief Privacy Officer for a Silicon Valley high tech company. His passion for the environment has taken Jim and his wife on a journey to visit 39 of our 59 National Parks….so far. When he is not glued to Photoshop on his computer, he is broadcasting live on his antique HAM radio equipment. He and his wife, Megan, and his cat, Marley, live in Los Altos. Jim Joined the CSPA Board in May of 2017. Ric Lohman retired after more than 40 years implementing Corporate Enterprise Systems. Ric has lived on the San Mateo County Coastside since 1990 and has worked for peninsula companies, such as Visa, Stanford, and Kaiser Permanente. Protecting the coastal environment has been a key part of Ric’s life, and he has served on local Coastside boards, such as, the Midcoast Community Council, the Sewer Authority Midcoastside, and the Granada Community Services District. Ric also served as a Board member of Save Our Shores and was active in the Tom Lantos Tunnel project and in bringing MROSD to the Coastside. Ric is politically active and has been President of the San Mateo County (SMC) Chapter of the California Special Districts Association (CSDA). He also serves on the SMC Local Agency Formation Commission (LAFCo) and the County Commission on Sea Level Rise. Ric joined the CSPA Board in 2014. Ric is a triathlete and enjoys all outdoor activities, such as, camping, hiking, astronomy, and kayaking. Ric’s wife, Barbara, is retired from teaching science at the Half Moon Bay High School and remains active in outdoor science activities for the school. Ric and his wife also enjoy travel, playing Bridge, and coordinating activities for their grandchildren. Conor Myhrvold joined the CSPA board in July 2017, continuing a lineage of State Park docents who became more involved in all the California State Parks along the San Mateo Coast. A technology and nature enthusiast, Conor's still early career started with stints in geoscience fieldwork and science and tech journalism. Conor became Bay Area bound in mid 2014 to join Uber Technologies in San Francisco, where he has been involved data science and engineering program management initiatives, including Uber's engineering blog and social media, data analysis and visualizations, events and open source software. Conor has an A.B. in Geosciences from Princeton, a master's in Science Writing from MIT, and a master's in Computational Science & Engineering from Harvard. He also has an interest in wildlife photography, elephants and elephant seals, and other animals.